I totally saved the best for last today. Today I am hosting the last giveaway to celebrate my 2 year blog anniversary and it is a good one (If you are a Rachael Ray fan check it out)! Today is also the last day (at least for a little while) that I will be participating in Saturday’s with Rachael Ray. And the last recipe as far as my Everyday with RR magazine review. I also think today’s recipe is the best RR that I have featured this month. 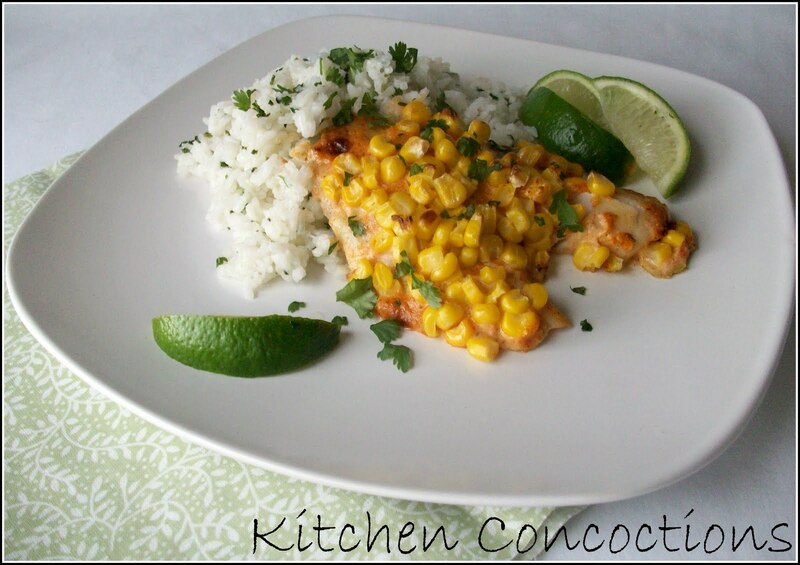 Flaky tilapia with a slightly spicy, slightly smoky sauce brightened with lime juice and plump corn. 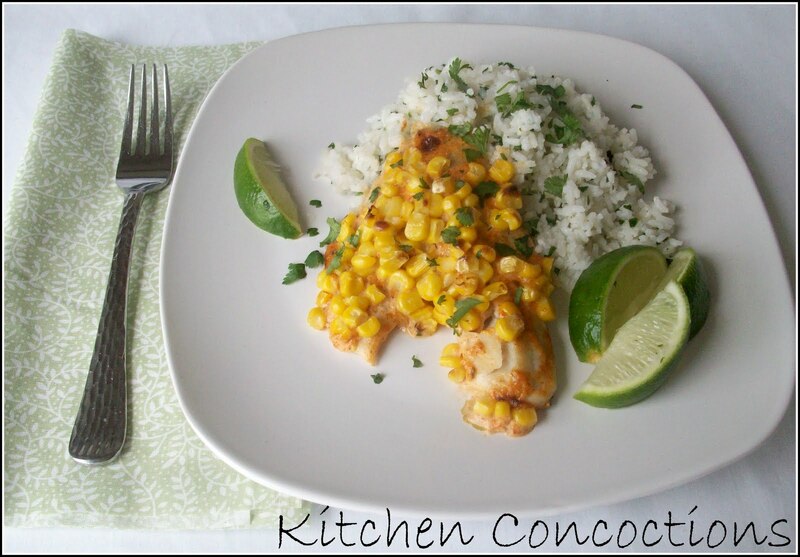 I served this Chili Lime Tilapia with Cilantro Lime Rice (recipe coming soon) which was fresh and flavorful. This was a killer meal that will totally be a regular around here for many years to come. Preheat the broiler. In a small bowl, combine the mayonnaise, lime zest, lime juice, chili powder, seafood seasoning, salt and black pepper. Grease a 9-inch square baking dish with 1 teaspoon of the mayonnaise mixture. Place the tilapia fillets in the baking dish and coat with the remaining mayonnaise mixture. Top with the corn. Broil until the corn is lightly browned and the fish is cooked through, about 10 minutes. Serve with additional lime wedges. « Look and Cook Cookbook Winner and Everyday with Racahel Ray Giveaway!